Take Hwy. 22/110 south out of Manawa. Turn right on Cty. Hwy. B (West) Turn left onto Spring Creek Road and follow to property on right. Hello, I’m interested in N5541 SPRING CREEK ROAD and would like to take a look around. The details on N5541 SPRING CREEK ROAD: This house located in Little Wolf, WI 54949 is currently for sale for $64,500. 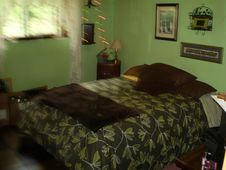 N5541 SPRING CREEK ROAD is a 999 square foot house with 2 beds and 1 bath that has been on Estately for 255 days. This house is in the attendance area of Little Wolf Jr Sr High School and Manawa Elementary School.